As a member of my daughter’s high school booster club, events like prom enter my life well before they happen. As of two weeks ago we began post-prom fundraising and planning for the prom in May. While I’m busy planning the event my daughter will soon be busy planning to attend it. Attending prom can get expensive between tickets, a dress or tux, shoes and accessories, dinners, and post-prom activities. While our kids are deciding what they want to wear, how they want their hair styled, and what handsome guy will be escorting them we as parents are deciding how much destruction prom is going to do to our wallets. 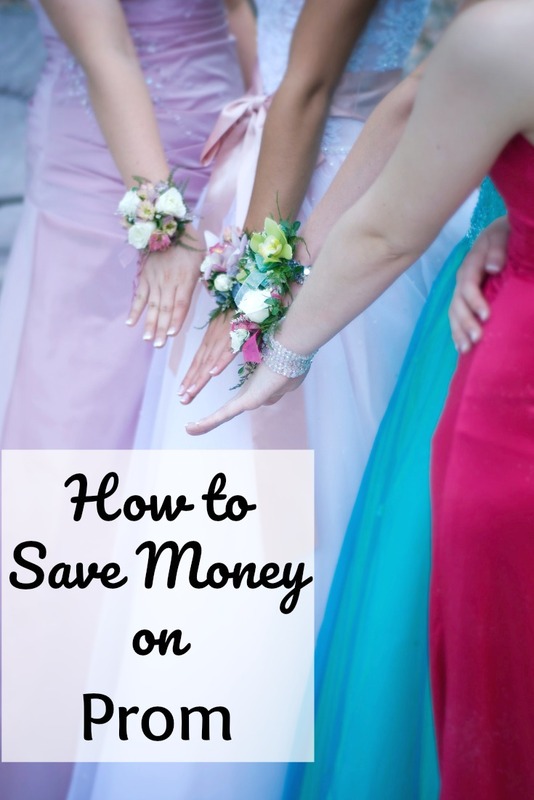 Hopefully, these tips and ideas to save money on prom will help you out! Most Prom dresses are worn once and then bagged up in the back of the closet. Lots of charities and dress drives are popping up all over the place where girls can donate their dresses for others to wear in years to come. DonateMyDress.org is a great place to search for a charity or drive in your area that you can both donate to and purchase from! It’s also a good idea to do some window shopping online beforehand to get an idea of what you like and where you want to go. Hairstyles and makeup for prom can be costly, depending on what you have done. If you have a beauty school in your area, check out their prices. You maybe able to save up to 1/3 of the cost of a hair salon and a lot of the time they do nails as well! Stop by the cosmetic counter at your local department store and have a professional makeup service done for free. They often try to sell you something but you are not usually obligated to make a purchase. Planning the perfect prom dinner beforehand is also important, and can be expensive. Try to figure out a couple weeks prior to prom the places you or your child is thinking about. Go to the restaurants website and sign-up for emails and check for coupons to use. Keep in mind that if several couples are going together, it might help to get separate checks and use several coupons. We can’t forget about the guys! I worked at a tuxedo shop one year during prom and learned something very valuable. The cost of a new suit is the same or a few dollars more than the price of a prom tuxedo rental. It is much wiser to buy the suit, one for cost, and two, you will own it and be able to use it on your first job interview, college interview, etc. I’m sure some of you readers have some great tips to share as well! Please comment below and share with all of us. My oldest daughter bought her dress off the clearance rack at David’s Bridal. The younger daughter got hers at a consignment shop!